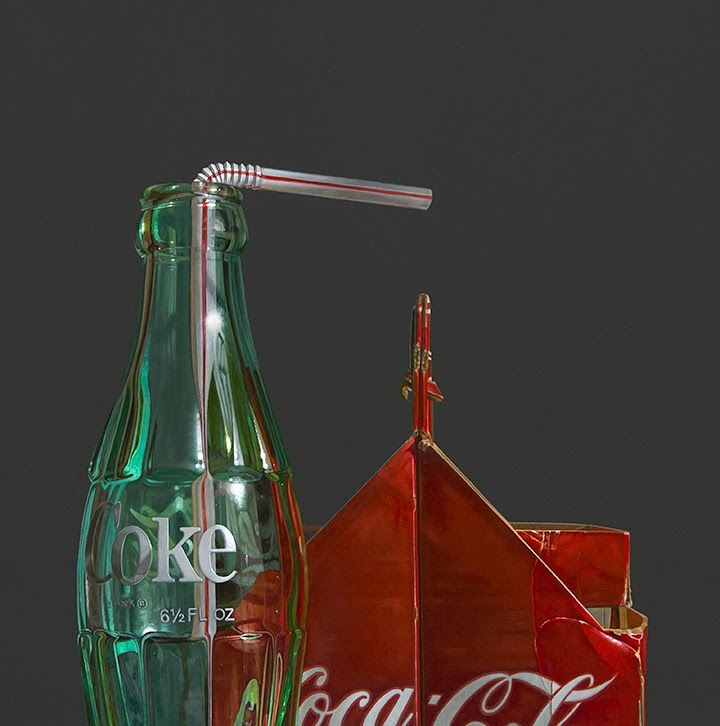 I've been working on a few paintings for C. K. Contemporary in San Francisco here lately, and realized that I'd never sent them a "Coke" painting. So, I decided to do a second empty bottle with a straw composition. I love the accordion fold in the straw and how it's distorted by the shape of the bottle. It's a good thing I have some green and red paint left over, because just as I finished this piece I got a commission from Tree's Place Gallery for another Coca Cola painting.